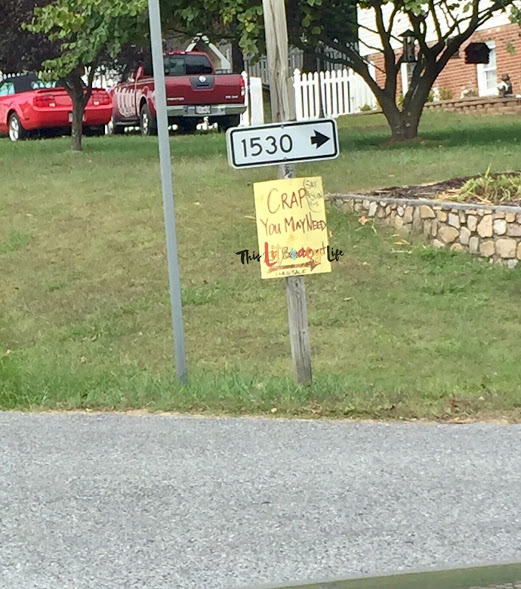 This sign cracked me up when I saw it a while back. 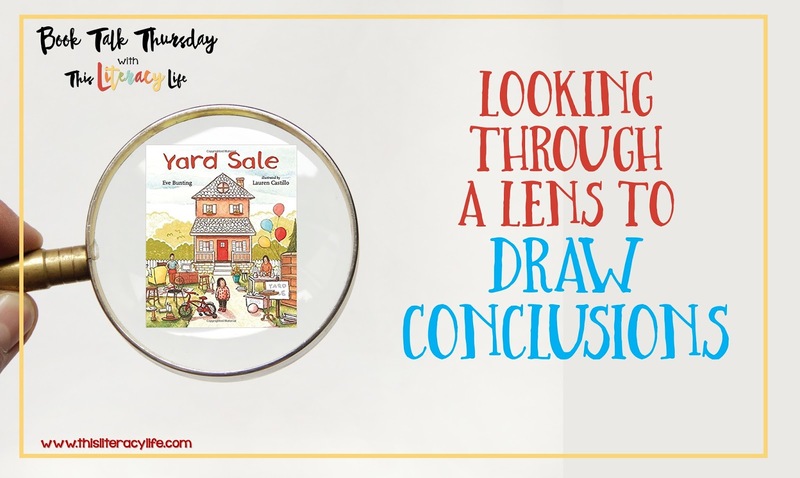 But then I read the book Yard Sale by Eve Bunting and thought differently about why people have yard sales. In the book, the young girl telling the story tells of how her family is selling almost everything they own to move to a smaller place. She tells the reader how her bed is being sold and the memories it holds for her. When her bike is sold, I cried. Yes, broke down and cried while reading it to my daughter. 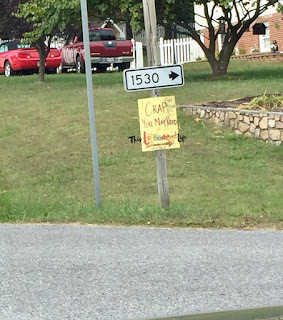 It was then I really realized that people have yard sales to make money to live and then move somewhere they can afford. The little girl's belongings are gone, and she must move away from her friend. Wow! So, other than compassion, how can we use this in our classrooms? I used it with my fifth graders as we reviewed drawing conclusions, a tough concept for so many of them. We first talked about why people have yard sales and what happens at one. 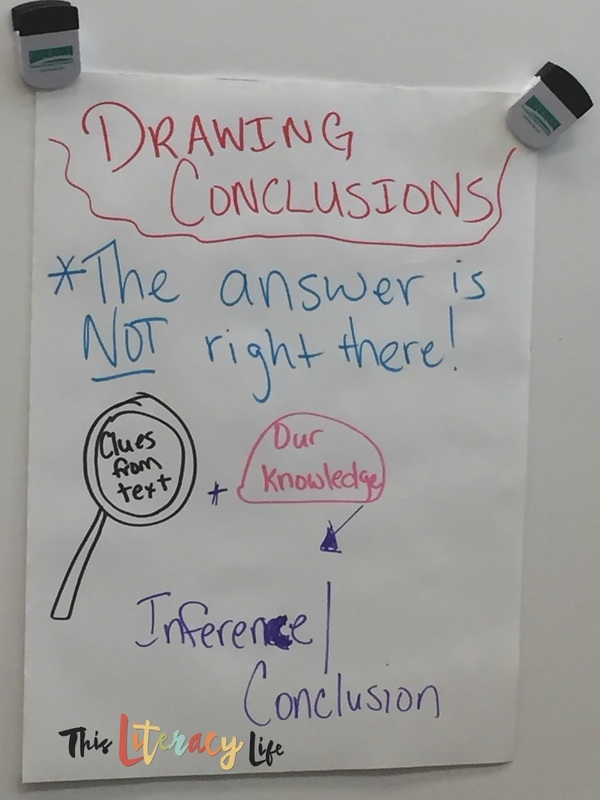 We then created this anchor chart to help us as we thought about the book. After making the anchor chart, I read the book to them. We worked together to draw conclusions about why the family had to sell their house and belongings. 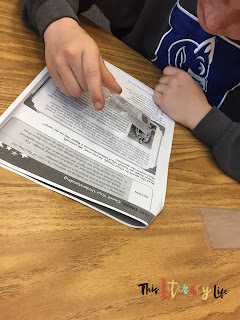 We also made inferences about various parts of the story to help us better understand it. They had the most fun when I handed out the magnifying glasses to locate answers in the passages. It's amazing what will motivate a fifth grader! 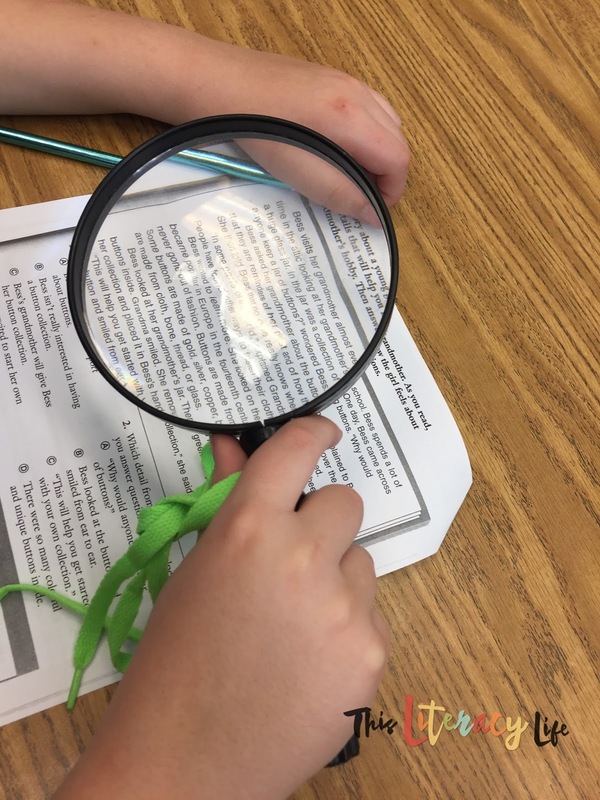 They loved looking for and locating the clues with the magnifying glasses! Overall, this was a hit! 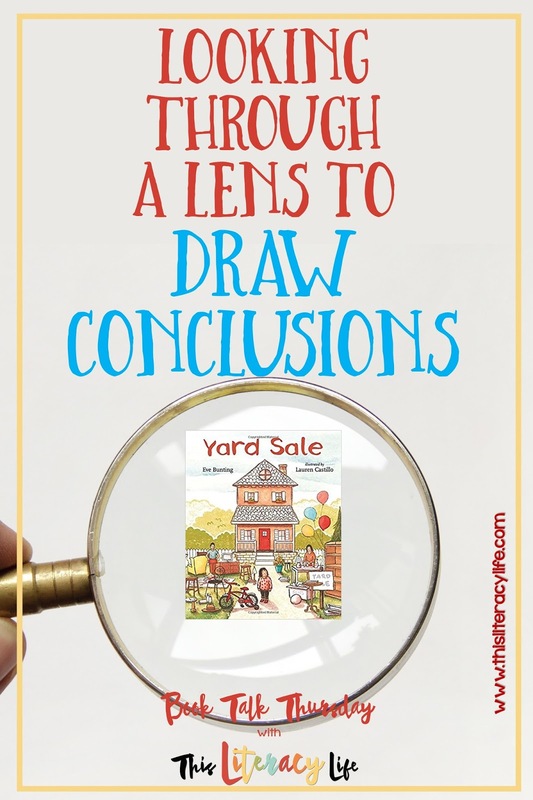 The students gained a better understanding of drawing conclusions and learned a little more about compassion from Yard Sale by Eve Bunting.